Chatham, NJ – November 16, 2018 – Westy Self Storage supports the Santa Claus Shop for the 6th consecutive year. Westy Self Storage in Chatham, NJ has donated 1 month free rent for a storage unit and free use of the Westy truck equipped with driver to assist with the group’s annual event. This year, the Santa Claus Shop celebrates its 52nd year of continued service. The Santa Claus Shop, strictly a volunteer organization, is affiliated with SHIP, Summit Helping Its People. In late November, the Santa Claus Shop will magically open its doors for two days of holiday shopping to more than 500 low-income families and senior citizens of Summit, New Providence and Berkeley Heights. The Santa Claus Shop guests, who are referred by social service agencies, enjoy a dignified, free shopping experience with complimentary refreshments provided by local businesses and gift wrapping by volunteers. Each guest is invited to personally pick out new clothing, housewares and toys for members of their immediate families. For more information please visit, www.summitsantaclausshop.com. Westy is open 7 days a week. Hours are 8 a.m. to 6 p.m. weekdays, 9 a.m. to 6 p.m. Saturdays and 11 a.m. to 4 p.m. Sundays. Call 973-701-7771 or visit www.westy.com for directions. 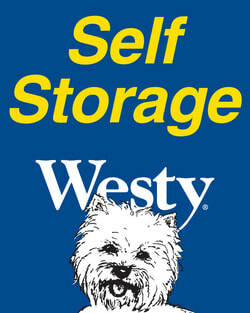 Westy offers affordable state-of-the-art storage solutions for individuals and businesses. Westy was founded in 1990 and since then the superior quality of their buildings has revolutionized the self storage industry. Among Westy’s family of customers are homeowners, apartment dwellers, professionals, businesses, retailers, and people who consider their Westy room an extension of their home or office. With corporate headquarters in Stamford, CT, Westy spans the tri-state area with 15 centers; 7 centers in NY, 4 centers in CT and 4 centers in NJ. Westy Storage Centers are open seven days a week. For more information visit www.westy.com or call (866) 22WESTY.